The iridescent effect on this holographic oilslick material gives your stickers a psychedelic look. 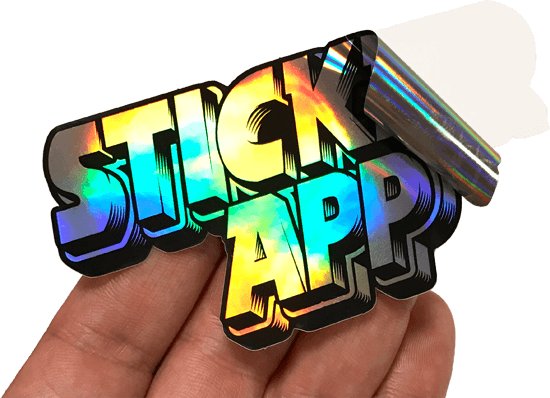 These holographic stickers can be used for just about any purpose, for example spicing up a company logo or for hat stickers. Print white and choose which colors you want metallic or to have white printed behind parts of your design to keep them opaque.